New Delhi is close to approving military deals worth an estimated $3 billion, according to a government source. India’s Cabinet Committee of Security (CCS), a government body headed by Indian Prime Minister Narendra Modi and responsible for military procurements, is ready for a final vote on India-Israel defense contracts and projects totaling $3 billion, The Times of India reports. There was a major difference (of opinion) in the ATGM project cost between the Israeli commercial bid and the much-lower price benchmarking done by the MoD. Over 20 contract negotiation committee meetings have been held till now… the effort now is to close the gap. The Indian Army, after a series of field trials, has selected the Spike ATGM over the U.S.-made Javelin ATGM system in October 2014, but no contract has been signed up till now. The Indian Army wants to eventually equip all of its 382 infantry battalions and 44 mechanized infantry units with a fourth-generation shoulder-fired “fire and forget” ATGM system. 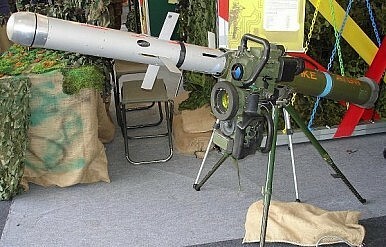 Bilateral negotiations between India and Israel over the Spike ATGM resulted in a tentative agreement where, after an initial off-the-shelf induction of a number of missile systems, Bharat Dynamics Ltd. would indigenously mass produce the weapons in India. Plans for an initial Indian order of one medium-range surface-to-air missile (MRSAM) regiment, composed of 18 firing units, appear to also have been making headway with final contract negotiations concluded. In February 2015, India’s Defense Research and Development Organization (DRDO) and Israel Aerospace Industries (IAI) agreed to co-develop a new MRSAM system for the Indian Army. Similar to the Spike ATGM deal, the MRSAM system would eventually also be indigenously mass produced by Bharat Dynamics Ltd. in India. Next to Russia and the United States, Israel is one of the largest arms suppliers to India with annual sales worth over $1 billion. “The defense cooperation for many years has been central pillars of the relationship. The changing world, changing parameters, changing needs are always something that is on the top of our agenda and always on our radar,” said Israel’s Ambassador to India, Daniel Carmon, in January. New Delhi has awarded an Israeli defense firm an additional contract for supplying Barak 8 LR-SAM Air and Missile Defense Systems to the Indian Navy.